‘The Last Word’? Doubt it! 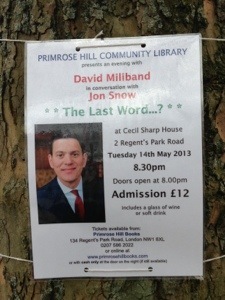 David Miliband in conversation with Jon Snow, before he leaves Primrose Hill to take up his new role at International Rescue, New York.